Alberto Martinelli has a PhD in Sociology from the University of California in Berkeley. He is currently Professor Emeritus of Political Science and Sociology at the University of Milan. He served as Dean of the Faculty of Social and Political Sciences from 1987 to 1999 and chaired the University Committee for International Scientific Cooperation. In 1998-2002, he was elected President of the International Sociological Association. 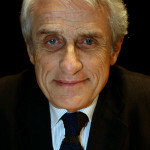 He is President of the Evaluation Committee of the University of Padua; a member of the Scientific Committees of the Milan Expo 2015; EconomEtica (the Italian University network on Business Ethnics and Corporate Social Responsibility); the Lombardy Regional Observatories on Migration and on Social Exclusion; and Real Academia des Sciencias Morales y Politicas de Espana. He serves on the editorial board of several scientific journals and writes for Il corriere della sera and other newspapers and magazines. His recent publications include: Transatlantic Divide. Comparing American and European Society (Oxford University Press, 2008); Global Modernization. Rethinking the Project of Modernity (Sage, 2005); La democrazia globale (Universita Bocconi Editore, 2004/2009); and La sociedad italiana (CIS, 2005). Nada Al-Nashif was appointed Assistant Director-General for Social and Human Sciences at UNESCO on 16 February 2015. She holds a Masters’ in Public Policy (MPP) from Harvard’s Kennedy School of Government and a BA in Philosophy, Politics & Economics (PPE) from Balliol College, Oxford University. Previously she was Assistant Director-General for the Arab States at the International Labour Organization (2007-2015), supporting employment policies, social dialogue initiatives and youth participation. 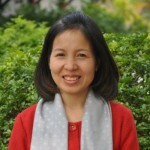 Prior to ILO, she worked in various positions at UNDP from 1991 until 2007 serving both Headquarters and Field assignments in positions of increasing responsibility. She serves on several boards, including as a Member of the Advisory Board at the Institute for Strategic Dialogue, Weidenfeld Scholarships and leadership Programme (UK), a Member of the Board of trustees of the NGO “Welfare Association” and the Board of Trustees of Birzeit University. Nnimmo Bassey is director of an ecological think-tank, Health of Mother Earth Foundation (HOMEF) and Coordinator of Oilwatch International. He chairs the Board of Environmental Rights Action/Friends of the Earth, Nigeria, an organization he co-founded and led as executive director from 1993-2013. From 2008-2012 Bassey chaired Friends of the Earth International, the world’s largest grassroots environmental advocacy network with members in 74 countries. Bassey is a licensed architect and practices from Benin City, Nigeria. 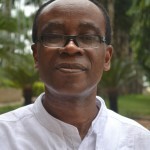 Bassey has authored books on the environment, architecture and poetry. His poetry collections include We Thought It Was Oil But It Was Blood (2002) and I will Not Dance to Your Beat (Kraft Books, 2011). Pambazuka Press published his book, To Cook a Continent – Destructive Extraction and Climate Crisis in Africa in 2012. He was named Time Magazine’s Hero of the Environment in 2009 and was a co-recipient of the 2010 Right Livelihood Award also known as the “Alternative Nobel Prize.” In 2012 he received the Rafto Human Rights Award. Professor John Gaventa is a political sociologist, educator and civil society practitioner with over 30 years of experience in research, teaching and facilitation, and organisational leadership in North and South. Currently Director of Research at the Institute of Development Studies, he previously served as Director of the Coady International Institute and Vice President of International Development at StFX University in Canada (2011-2014). Prior to that, he was a Fellow in the Power, Participation and Social Change team at IDS, and Director of the Development Research Centre on Citizenship, Participation and Accountability, based at IDS. Linking research and practice, he has written and worked extensively on issues of citizenship and citizen engagement, power and participation, governance and accountability, and leadership for social change in a number of countries around the world. His most recent books include Citizen-Led Innovation for a New Economy (forthcoming with Alison Mathie), Globalising Citizen Engagements (co-editor with Rajesh Tandon) and Citizen Action and National Policy Reform (co-editor with Rosemary McGee), both published by Zed Books. Bronwyn Hayward is a New Zealander, trained in political science and geography. She is Associate Professor and Head of the Department of Political Sciences and International Relations, as well as Director of the Arts Scholars programme, University of Canterbury. Bronwyn is also a Visiting Fellow with UK ESRC funded RESOLVE Centre for environmental values, attitudes and lifestyle change and the Scottish Government/DEFRA funded Sustainable Lives Research Group (University of Surrey). She is co-investigator on Voices of the Future project, University of Oslo and has been a visiting fellow for Tyndall Centre for Climate Change and lead author for UNEP’s Visions for Change 2011. 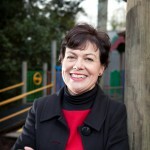 She is a current trustee of the London Foundation for Democracy and Sustainability and NZ Telecom Foundation. Bronwyn has served as a Ministerial appointment on the NZ Broadcasting Commission. Her research focus is children and youth in economic, social & environmental change. Her book Children, Citizenship and Democracy: Nurturing a democratic imagination in a changing world (Earthscan, London 2012) was selected as a feature book for Litcam; Frankfurt Book Fair 2012. In 2014 Dr Hayward was the inaugural joint recipient of the University of Canterbury, NZ Arts College Critic and Conscience of Society Research Award. Rainier Ibana teaches Ethics, Environmental Ethics, Social Philosophy and Philosophy of Education at Ateneo de Manila University. He chairs COMEST’s Environmental Ethics Committee and served as Coordinator for the Asia-Pacific Section of UNESCO’s South-south Philosophical Dialogue. He is also President of the Asia-Pacific Philosophy Education Network for Democracy and Vice President of the Philosophy with Children and Youth Network for Asia-Pacific. Li Hanlin is currently the General Director at the National Institute of Social Development, the Chinese Academy of Social Sciences (CASS). He obtained his PhD in Sociology from Bielefeld University in Germany in 1984 and became a Professor in Sociology in 1988 at the Institute of Sociology, CASS, where he served as Deputy Director General (2003-2006). 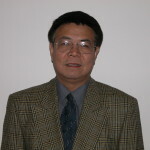 He was actively involved in the organization of the First and Second Asia Pacific Regional Conference of Sociology (1993, 1996) as a Member of its Steering Committee, and also in the organization of the Asia Pacific Sociological Association where he eventually served as a Member of its Executive Committee (1997-2002). He is the author and co-author of several books and numerous articles dealing with changes in the Chinese work unit society, the Danwei phenomena, the basic structure of the Chinese society, attitudes to modernization and reform policy, theory of knowledge transfer, Chinese urban development, the sociology of science, Chinese harmony society, etc. Jackie Olang is the Executive Director for the Network of African Science Academies (NASAC) secretariat based in Nairobi, Kenya. She is responsible for the implementation of NASAC activities in a coordinated manner, and the optimal functioning of the secretariat. NASAC is a consortium of science academies in Africa, with a membership drawn from all spheres of science. She has served within the NASAC secretariat in various capacities since its establishment in 2001. Ms. Olang holds a Masters of Arts degree in Project Planning and Management from the University of Nairobi. She also has a Bachelor’s Degree in Education (B.Ed.) for Mathematics and Commerce, also from the same University. She also has basic knowledge of French as second foreign language. Her specialization is project management for policy interventions. She has delivered numerous talks on the relevance of networking to overcome challenges in Africa at many regional and international fora. She currently provides input to a number of projects supported by a wide range of development partners and development agencies and also serves as a member of several local and international Committees. Prof. Salem is full professor at the Department of Environmental sciences at the University of Alexandria, where she where she teaches and manages a remote sensing laboratory. 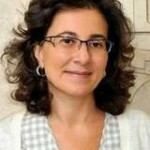 Prof. Salem obtained her PhD from Imperial College London in remote sensing and GIS applications in the sustainable development of Egyptian deserts and obtained two post-doctoral studies in 1994 and 1996 from the University of London and the University of Maryland in GIS applications to arid lands and Biodiversity electronic databases respectively. She is president of a non-governmental organization dealing with the sustainable development of wildlife habitats and environmental problems. Prof. Salem has been on the International Advisory Committee of Biosphere Reserves for UNESCO and is currently on the International Jury for the Jawad Hussein Prize and the UNESCO Science Prize. She has contributed to the Millennium Ecosystem Assessment as one of the authors of the Desertification Synthesis Report. She served for six years on the Committee of Strategic and Planning Committee of ICSU (International Council for Scientific Unions). She was inducted into the US State Department’s Women in Science Hall of Fame for the Middle East and North Africa. Prof. Dr. Úrsula Oswald Spring is a full time researcher at the National University of Mexico-Regional Multidisciplinary Research Centre (CRIM-UNAM). She has studied medicine, psychology, philosophy, modern languages, anthropology and ecology in Madagascar, Paris, Zurich and México and has a PhD form the University of Zurich. 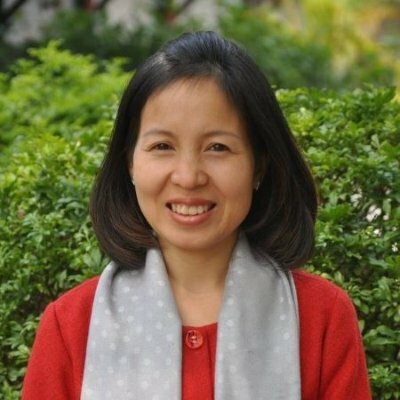 She is the first MRF-Chair on Social Vulnerability at United National University Institute for Environment and Human Security (UNU-EHS) and a lead author of the IPCC. She was elected in 1998 President and in 2016 Secretary General of the International Peace Research Association. Between 2002-2006, she was General Secretary of Latin-American Council for Peace Research (CLAIP), where she is now Honorary President. From 1992 to 1994 she was also the first General Attorney (an ombudswomen for environment) and from 1994 to 1998 the Minister of Environmental Development in Morelos. She has written 56 books and more than 392 scientific articles and book chapters. She got several prices for her academic work: Sor Juana Inés de la Cruz; the Ecological Merit of Tlaxcala; the Medal of General Emiliano Zapata; Women of the Year 2000; the Fourth Decade of Development of UN; Academic Women from UNAM and the Merit of Academic Work. 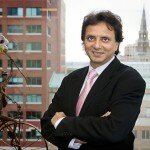 Dr Rajesh Tandon is an internationally acclaimed leader and practitioner of participatory research and development. He founded the Society for Participatory Research in Asia –PRIA, a voluntary organization providing support to grassroots initiatives in South Asia and has been PRIA’s Chief Functionary since 1982. He was appointed Co-Chair of the prestigious UNESCO Chair on Community Based Research and Social Responsibility in Higher Education, for two terms (2012 – 2016 and 2016 – 2020). The UNESCO Chair grows out of and supports UNESCO’s global lead to play ‘a key role in assisting countries to build knowledge societies’. A renowned authority on participatory research, he has championed the cause of building organizations and capacities of the marginalised through their knowledge, learning and empowerment. He has contributed to the emergence of several local, national and international groups and initiatives to promote authentic and participatory development of societies. Dr. Tandon has authored more than 100 articles, a dozen books and numerous training manuals on democratic governance, civic engagement, civil society, governance and management of NGOs, participatory research and people-centred development. Richard Tutwiler is professor of practice and director of the Research Institute for a Sustainable Environment (RISE). He was a research professor and director of AUC’s Desert Development Center since 2001. Prior to becoming director of the DDC, he was program leader in natural resources management at the International Center for Agricultural Research in the Dry Areas, headquartered in Aleppo, Syria. Tutwiler, who has spent over 26 years living and working in in the Middle East and North Africa, has a keen interest in food security, environment and sustainability issues. Author of numerous publications on sustainable development, Tutwiler was a co-winner of the Consultative Group for International Agricultural Research Chairman’s Award for Outstanding Scientific Article in 2000. His current research activities include desert development in Egypt and water management in the Nile Basin.Tutwiler earned his BA in Cultural Anthropology from Macalester College and his MA and PhD degrees from the State University of New York at Binghamton, where he also earned graduate diplomas in Middle East Studies. As an undergraduate, he spent a year studying at the American University in Cairo. Tutwiler has served as a consultant to numerous international development organizations, as well as national governments and private agencies in the Middle East and North Africa. Tutwiler is also active in community service, and is a former chair of the Board of Trustees of Cairo American College. Tutwiler received the President’s Distinguished Service Award of The American University in Cairo in 2008. Hebe Vessuri, anthropologist, emeritus researcher from the Center of Science Studies at the Venezuelan Institute of Scientific Research. Currently research collaborator at the Director’s Office, Research Center of Environmental Geography (CIGA), Universidad Nacional Autónoma de México (UNAM). She has contributed to the emergence and consolidation of the field of social studies of science and technology in Latin America, setting up initiatives of advanced research and training programs in several countries. 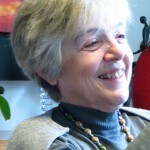 Her research focus is in science in world peripheries, the current internationalization of the social sciences, and the interface between higher education, scientific research and, other forms of knowledge. Executive Director of Knowledge Management and Strategy of the National Research Foundation, South Africa. Senior Research Adviser, Swedish International Development Cooperation Agency (Sida), Sweden. Frans Berkhout, Executive Dean, Faculty of Social Science & Public Policy and Professor of Environment, Society and Climate, King’s College London, UK. Heide Hackmann, Executive Director, International Council for Science (ICSU). Enrique Leff, Senior Researcher/Professor in political ecology and environmental sociology, National Autonomous University of Mexico (UNAM). Katharine Jacobs, Director of the Center for Climate Adaptation Science and Solutions (CCASS), University of Arizona. Shahra Razavi, Chief of Research and Data, UN Women. Carolina Vera, Director of the Centre for Atmosphere and Ocean Research (CIMA-UMI/IFAEC), Argentina.